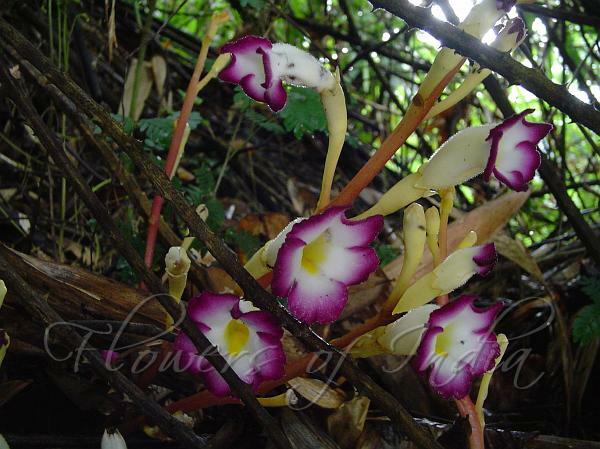 Magenta Ghost Flower is a rare endemic parasitic plant, which was rediscovered in 2003, after 90 years in the Indira Gandhi Wildlife Sanctuary at the Anamalais, near Pollachi. 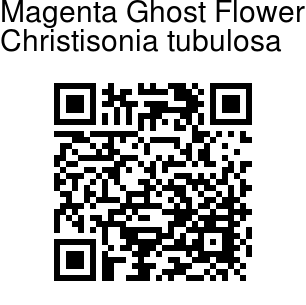 It belongs to the same family as the more common Forest Ghost Flower. The flowers are attractive, tubular, with meganta colour on the outer portion of the petals. The stigma is whitish and prominent, and the corolla throat showy with yellow coloration. The herb lacks chlorophyll and is parasitic on grasses. It is endemic to southern India, where it occurs only at an altitude of 900-1200 metres and was first discovered by Robert Wight in 1835. The genus was named after Sir Robert Christison, Professor of Medicine at Edinburgh. Identification credit: Navendu Pāgé Photographed in Devikulam, Kerala.